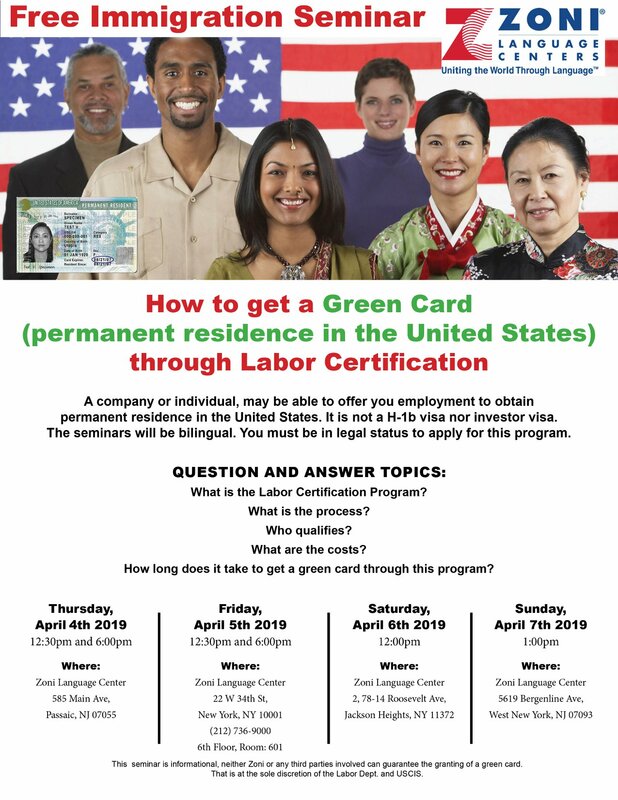 A company or individual may be able to offer you employment to obtain permanent residence in The United States. It is not a H-1b visa nor investor visa. Seminars will be in bilingual. We’re going to be hosting 3 seminars, see dates below. If you have any questions comment below or call us at 212-735-9000. We hope to see you there!